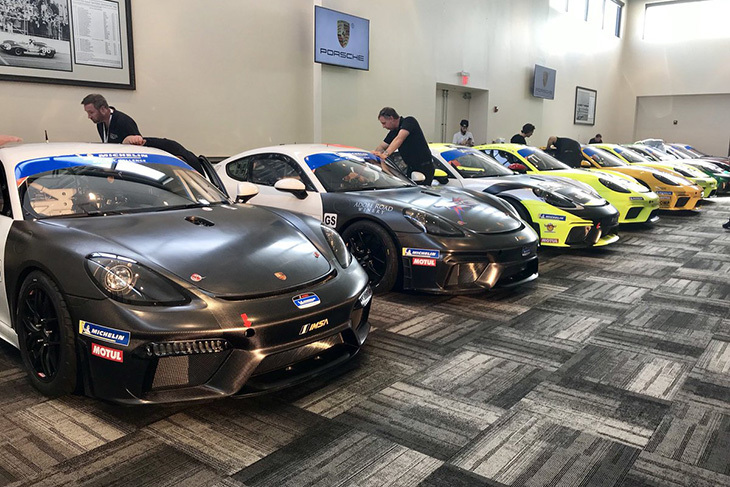 Three years after the premiere of the first Cayman GT4 Clubsport, Porsche has today taken the wraps off its successor, the new 718 Cayman GT4 Clubsport with the first customer cars handed over to their customer teams ahead of track action this weekend in the Roar Before the Rolex 24 Hours at Daytona International Speedway. 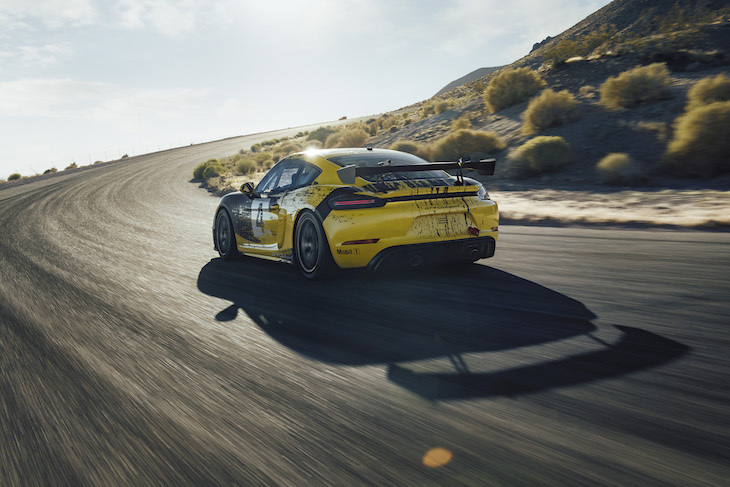 In developing the new 718 Cayman GT4 Clubsport, the focus was put not only on further improved driveability and faster lap times but also on the sustainable use of raw materials. 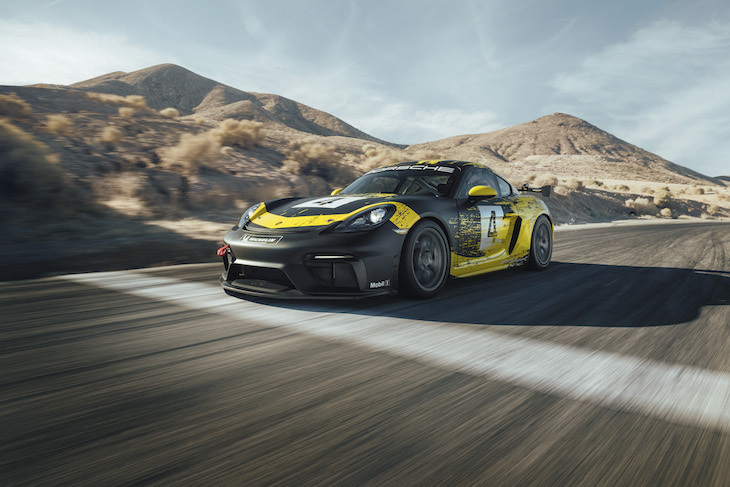 The 718 Cayman GT4 Clubsport is the first ever production race car to feature body parts made of natural-fibre composite material. 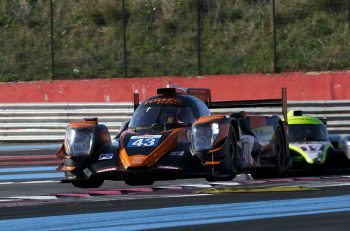 The driver and passenger doors and the rear wing are made of an organic fibre mix, sourced primarily from agricultural by-products such as flax or hemp fibres and feature similar properties to carbon fibre in terms of weight and stiffness. 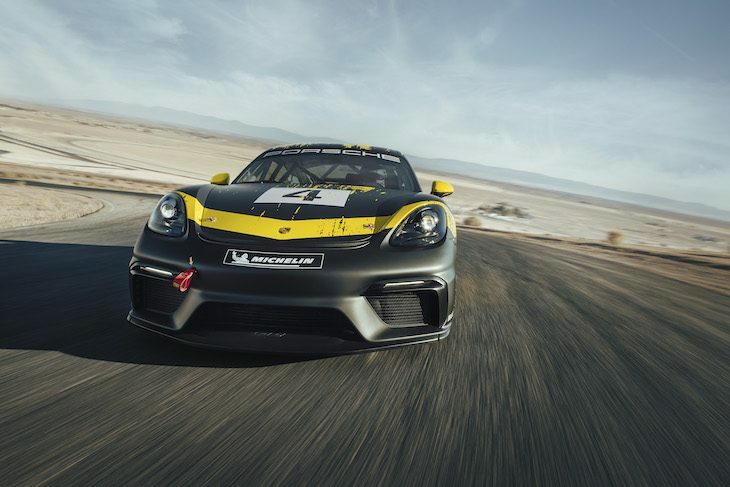 The 718 GT4 Clubsport is powered by a 3.8-litre flat-six engine producing 425 bhp (313 kW). Compared to its predecessor, this represents a 40 bhp increase in peak power. The power is transferred to the rear wheels via a Porsche dual-clutch gearbox with six gears and mechanical rear axle differential lock. The lightweight spring-strut front suspension is taken from its big 911 GT3 Cup brother. The impressive racing brake system features steel brake discs all round measuring 380 mm in diameter. 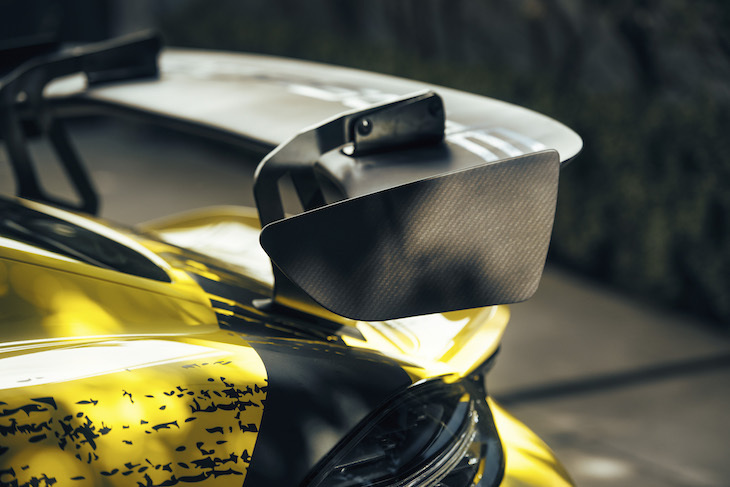 Tipping the scales at 1,320 kg, the 718 Cayman GT4 Clubsport, is equipped with a welded-in safety cage, a racing bucket seat as well as a six-point harness. For the first time, the near-standard mid-engined racer comes in two versions ex-works for global track driving excitement: the “Trackday” model and the “Competition” variant for national and international (GT4) motor racing. The quick-release racing steering wheel adopted from the 911 GT3 R ensures a range of adjustment options for the individual needs of the drivers. An automatic fire extinguishing system is fitted. The 718 Cayman GT4 Clubsport “Competition” is priced at £130,300.00 plus VAT, and is not homologated for road use. 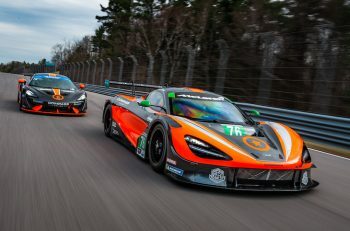 The car is available to order immediately and will be delivered to teams and drivers around the world from February after the first North American deliveries make their debuts in the Michelin Pilot Challenge at the end of January at Daytona.